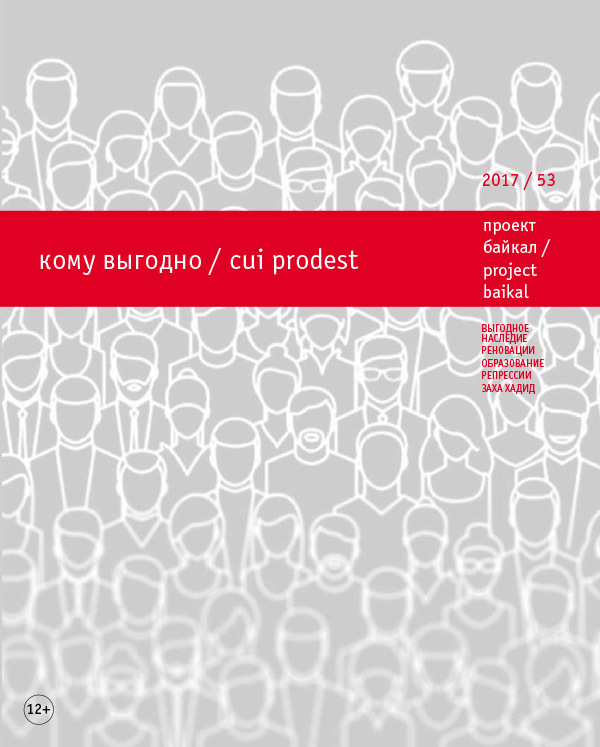 The report presented at the Annual Conference of the Union of Moscow Architects on the theme “Space of Quality” traces the connection between the quality of the environment and professional rights of architects as the specialists creating this environment. The author reviews the history of the issue and analyses the current legal status of architects in Russia in comparison with the status of the profession in the world practice and international documents. The author forecasts the condition of the environment in case if this situation remains unchanged. LOGVINOV, Victor. The Quality of Life and the Right. project baikal, Russian Federation, n. 53, p. 34-35, sep. 2017. ISSN 2309-3072. Available at: <http://projectbaikal.com/index.php/pb/article/view/1205>. Date accessed: 22 apr. 2019. doi: https://doi.org/10.7480/projectbaikal.53.1205.